If you’re involved in complex, lengthy and high-value B2B sales environments, you can’t afford to regard opportunity qualification as a one-off exercise. You need to think of it as an ongoing process, in which you continually accumulate new learning as well as regularly revalidating any previous assumptions. 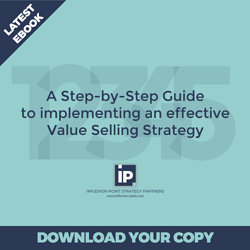 The level of resource that you have to invest in winning any significant sales opportunity requires that you make thoughtful decisions about which deals are worth pursuing and which ones should be firmly qualified out. Top sales performers – in my experience, at least – have too much respect for their own time to waste it pursuing opportunities they have little chance of winning. They tend to be ruthless in their initial qualification, and they are typically very aware of changes in circumstances that could turn a previously attractive opportunity into something that is no longer a valuable use of resources. 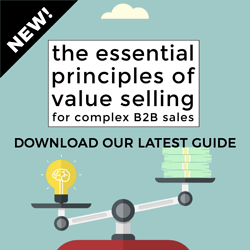 So how can we equip every sales person to embrace the same rigorous approach? 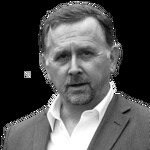 I recommend that you start by establishing clear and consistent company-wide standards for opportunity qualification that are wherever possible supported by objective fact and evidence rather than subjective opinion or hope. We need to recognise that not all of the information we need to qualify a complex opportunity may be available at the very start of our sales process, and that we may need to sequence the qualification exercise into a number of phases. In my recent work with clients, we’ve typically established at least two such waves of qualification. We also need to recognise that opportunity qualification has two significant dimensions: first, how likely is it that the prospect will ultimately decide to do anything and second, if they do decide to take action, how likely is it that we will win their business? How closely does the prospective customer’s view of the problem align with the critical issues we have chosen to target? Is our initial contact a potential prime sponsor with the authority and motivation to drive the decision-making process? Does the prospect have a clear and urgent reason to take action within a defined time frame? Is there a compelling case for change and a clear source of the funds needed to implement the project? How closely do the prospect’s stated needs and requirements align with the key capabilities of our proposed solution? Have we identified all the key stakeholders in the prospect’s buying decision process, and what do we know about their attitude to us? 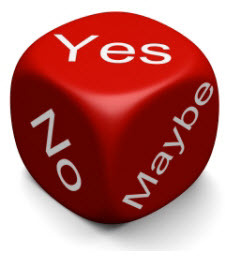 How much do we understand about the prospect’s decision-making criteria, and how favourable are they to us? How much do we understand about the prospect’s decision-making process and time frame, and how favourable are they to us? How important is the particular problem or project to the customer, and where does it stand as a relative priority against all the other investments that are competing for resources? The above 10 qualification factors are almost always all significant in any significant buying decision – and you may well be able to identify more that are specific to your own sales environment. Some of the answers to the above qualifying questions might seem to be issues of judgement rather than hard fact. If this is the case, we need to provide our sales people with the clearest possible guidelines as to how to come to these judgements. We cannot afford to rely on guesswork or inconsistency when answering these questions: we should expect our sales people to explain how they came to their decisions, and what evidence they can point to in support of their conclusions. Now, not all of the initial answers to these qualifying questions may be an unambiguous “yes”. Some of our initial judgements might be conditional (and if they are, we need to recognise them as such, and resolve them). But the more “no” or “don’t know” answers we have, the weaker the opportunity. We need to promote a culture in which is better to acknowledge that we “don’t know” (and take steps to resolve the uncertainty) than to lazily claim a positive qualification based more on hope than on any tangible proof. We might also (and I have seen this used to very powerful effect) think about adopting the mindset that by default an opportunity is to be qualified out unless there is positive evidence to the contrary – after giving the sales person a reasonable period to establish the facts and make the case for continuing to pursue it. This principle is, of course, far easier for sales people to accept and implement if we have a healthy demand generation and pipeline building programme. But if we haven't, clinging on to poorly qualified opportunities is hardly likely to improve revenue outcomes, is it? Of course, our initial qualification judgements can and probably will change in the light of changing circumstances. As a minimum requirement, I believe that it is sensible and reasonable to expect sales people to reaffirm each qualification criteria before advancing an opportunity from one stage to the next. More specifically, any significant change in circumstances should trigger an opportunity review. I’ve lost count of the number of times that sales people have claimed that significant external events or changes in the stakeholder group will have little effect on the prospect’s decision-making – only to see them be painfully proved wrong. I hope the guiding principles will prove as useful to you as they have a number of other organisations I’ve been working with. There is no doubt that rigorous, consistent qualification drives improved revenue performance. Every gardener knows that pruning out the dead or dying wood stimulates invigorated new growth and a healthier plant. Exactly the same holds true for sales pipelines. Salespeople might feel a momentary pain when qualifying out a weak opportunity. The short-term effect might be to make their pipeline appear smaller. But their time and resources will have been freed up to uncover, engage and manage more promising opportunities. And the results in terms of booked revenue will soon be obvious. Drop me a line if you'd like to discuss how best to apply these principles in your own organisation.